In the middle of the night, I picked up one of my best friends of nearly 20 years from the local airport. I woke up this morning to see my sweet Paisley wedged adorably between us, which was a beautiful way to start the day. Alyssa and I enjoyed brunch with Mama, before beginning our birthday adventures in Calistoga today. We had mud baths and relaxed poolside with a birthday bottle of wine. We took a dip in the mineral pool and walked around the adorable town of Calistoga. 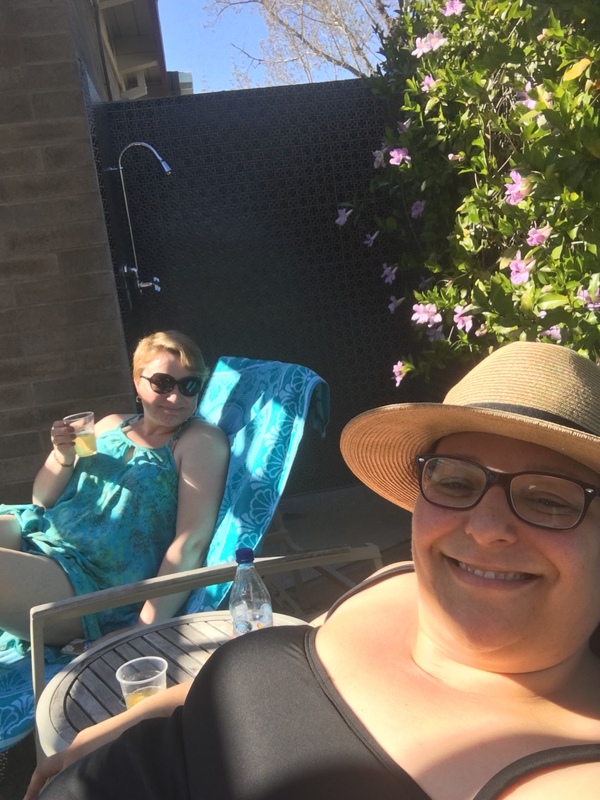 Today’s #OneGoodThing was spending time relaxing, talking, and laughing with one of my favorite people! Thanks for a wonderful post birthday bash, Alyssa! Day 111 of 365. And Day 842 in a row (here’s the first 366 & the following 365)! So happy you had a great day!